It’s all go for the Paralympians and what a fantastic start we have made..
Hello folks, time for my 3rd blog of the games. I am currently watching the T54 women’s 5000m race on the track on TV. The categories may sound baffling, but in essence they are pretty simple. See further down for more on this! The first thing I noticed was that in the background the Games Makers were having trouble securing a throws athlete into his chair with blue straps (catch a glimpse if you can). This is one of our tasks at Mayesbrook Park and, as you might guess, it’s important that you get this right. The last thing an athlete needs is to feel insecure when competing and, of course, if he or she slips when hurling a discus for example then it could fly anywhere! Thursday was a really busy day. Some of the TeamGB squad appeared for a training session and included in the group was one of the stars, Richard Whitehead, a T42 category, above knee amputee from birth. It was fascinating to watch him remove his “normal” legs, almost as if you or I were simply taking our tracksuits off, and put the blades on. Then his racing spikes went on to the blades. He welcomed our interest and hoped it would raise the profile of Paralympians like himself. The track at Mayesbrook has been filling up nicely with teams from the USA, Mexico, Peru, and Japan, plus assorted others. We’ve had lots of long jumpers in particular, including an impressive blind lady athlete from Japan. She relied on the number of claps from her coach to count her steps to the sandpit. Her perseverance was amazing as it took so many jumps to get one right. At this point it is probably worth commenting on the language barrier – or more specifically, the lack of one! Our team of Games Makers includes a transport group, security, domestic crew, drivers, and us the athletic crew. Our team leader is Spanish, one of the team can speak French and another Russian. The transport crew comprise of a Brazilian (so Portuguese speaking, although he speaks Spanish too) Polish, and a Geordie! The Security guys are a mix of Pakistani, Turkish, Egyptian and Indian. Plus the universal language of pointing at implements, lots of laughing and having fun. So we all eventually understand each other, no matter where everyone comes from (and that includes the Geordie!). It’s an honour to be here and I am so enjoying it. The classification categories can sound complicated, but I will try and explain as best as I can. It is probably worth remembering that if you watch the games on TV try and follow the Lexi system on screen it is a very good guide. The second number gives an indication of the level of impairment. The lower then number, means the higher the level of impairment. T51-T58 Decreasing level of impairment from no movement of lower limbs and little movement of upper limbs, through to good hand and arm movement and control and some strength in one of upper limbs, through to good hand and arm movement and control and some strength in one of or both legs, but inability to compete standing up (competing in seated throws). So, whew!! you can see it is a complicated affair to get the level of assistance right, and diplomacy and tact are of the utmost importance. At this stage the learning curve is not so high and athletes and volunteers are enjoying the opportunity of a lifetime. Anyway, I will have to finish my blog for today as I am on an afternoon session. While writing the blog I have been watching the athletics on the telly. 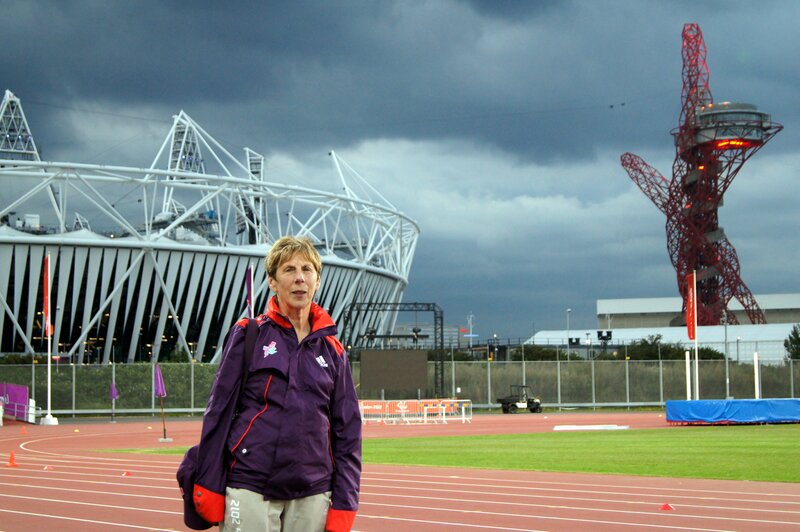 I am so excited as the athletes I see running are those I have met on the my daily shifts. Such an amazing feeling and only now do I feel part of the Games. This entry was posted in Blog, Uncategorized on September 1, 2012 by Clear. Thank you Grace. This blog helps us understand how officials decide the categories. Its very helpful that you have pointed us to look at the Lexi System. I am sure many of us are looking forward to future blogs. Has anyone else got any comments to make? Please share your views here and if you have a question around the Paralympics why not ask? Ask us and we will get your questions answered!